Rangers came from behind to beat Hearts 2-1 in an enthralling and controversial clash at Tynecastle to move top of the Scottish Premiership table. In a frantic, thrilling contest, Hearts led after 27 minutes when Gareth McAuley deflected a Marcus Godinho cross into his own net, but Rangers hit back with two goals before half-time from Connor Goldson and Alfredo Morelos - though the Colombian was offside as he got the vital touch to James Tavernier's free-kick. 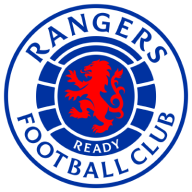 Rangers dominated much of the second half, but were reduced to 10 men when Scott Arfield was red-carded for a late challenge on Hearts goalkeeper Zdenek Zlamal - yet Hearts were unable to make the extra man count as they failed to apply any late pressure. Steven Gerrard's side now sit a point ahead of Celtic, having played a game more. Hearts remain fourth, continuing a dreadful run of form that has included five losses and a draw since October. Craig Levein's team had not scored since October 23, but they were close to the opening goal after 10 minutes. Steven MacLean's header from Peter Haring's flick-on was destined for the bottom corner until Allan McGregor palmed it away. McGregor, described as "world class" by Gerrard after his performance against Villarreal on Thursday, was busy again 10 minutes later, tipping over a looping Arnaud Djoum header. From the corner Rangers broke with Daniel Candeias, and his cross found Morelos in space, but he mis-kicked his attempted volley and the chance was lost. The home side's pressure paid off on 27 minutes as they took the lead, working the ball from the left with MacLean and Oliver Bozanic, until Godinho gained possession on the right corner of the box. The Canadian whipped a delightful cross along the six-yard line which McAuley deflected into the far corner of the net, with McGregor stranded. Rangers were stung into action. Halliday's cross was partly punched away by Zlamal to Ovie Ejaria, who looped a header towards goal, only for Djoum to make a brilliant diving, headed clearance. From the resulting corner, Goldson was left unmarked and although Zlamal parried his first effort from point-blank range, the defender buried the rebound with his knee. Suddenly the Hearts goal was under siege. Tavernier curled a free-kick from 25 yards into the side-netting as Zlamal watched on flat-footed, before McAuley forced the goalkeeper into a smart save. Momentum had swung full circle, and moments later Rangers were in front. Morelos met Tavernier's set-piece at the near post with a deft flick, and his touch had enough power to nestle in the far corner. Replays showed the striker was half a yard offside, but that did nothing to quell the celebrations of the Colombian striker, who now has 17 goals for the season, and 11 in his last 14. Hearts went straight on the attack in the second half, and Sean Clare was inches away from connecting with Djoum's cross. Gerrard and Levein then remonstrated with each other on the touchline after Morelos was floored, but no foul was given. Amid the din, Arfield burst into the box but his shot was blocked by Berra. 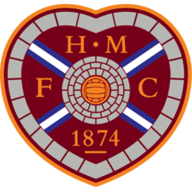 Hearts captain Christophe Berra returned after over three months out with a torn hamstring, one of five changes by Craig Levein following the 2-0 defeat to St Mirren a week ago. Oliver Bozanic, Harry Cochrane, Marcus Godinho & Demi Mitchell also came into the team. More goals looked to be in the offing, and Eros Grezda, on just his third Rangers start, had a clear chance in the box on the hour, but Godinho did well to block. The Hearts defence was then left floundering when Candeias broke and fed Ejaria in acres of space; his cross was fractionally too strong for Morelos sliding in at the back post, as he could not hook his leg around it and only steered it wide. On 72 minutes Arfield was sent off for sliding in late on Zlamal, as the goalkeeper struggled to gather a loose ball after saving Morelos' shot. The midfielder would argue he made a genuine attempt to play the ball, but his studs were up as his momentum carried him into Zlamal, and referee Bobby Madden flashed the red card as tempers flared in the Hearts goalmouth. Morelos had the ball in the net again with 10 minutes left but was this time correctly flagged well offside, as Hearts struggled to make their extra man count. Kyle Lafferty received a hostile reception on his Tynecastle return when he replaced Candeias, but Rangers held on with ease. Gerrard and his coaching staff celebrated wildly at full-time, as his side moved into top spot in the league table for the first time this season.